$1.79 to $84.99 & FREE Shipping on orders over $59 $35. 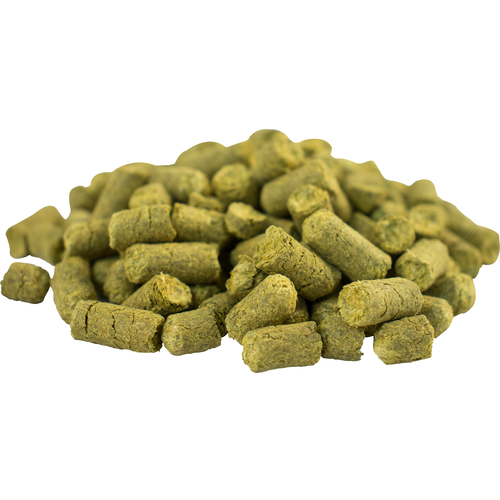 Chinook hops are a very distinctive dual-purpose hop used in Ales for both bittering and flavor/aroma. Chinook hops are commonly used in IPA's. Distinct, medium intensity spice and pine characteristics with subtle notes of grapefruit. Some consider the bittering quality of this hop is a bit rough because it lingers in your mouth after swallowing. However, some brewers can't get enough. The flavor/aroma is spicy and unique, with a huge following of loyal fans. For a great IPA recipe. Need to make a piney/resiny IPA and Chinook fits the bill. Hop will be used in local CloudBurst IPA clone. Great pineapple - tropical fruit flavors and citrus with late hop additions. Unappreciated for late hop additions IMO. One of my favorites. Fresh Chinook Hops in an O2 barrier bag. Love the C's. This is the flavor hop in my recipe that won a gold medal at Hangar 24's Homebrew Competition. Great pine flavor. I routinely use this hop in IPAs, but I've noticed that it can lend a dirty/dusty flavor when used in abundance (especially late in kettle or dry hop). For piney/resiney flavors, I prefer to cut the total charge of Chinook with Apollo and/or Columbus. I prefer the packaging that morebeer uses over other suppliers. Never had a quality issue with hops from them. Used chinook as a dry hop in my secondary when attempting a Sierra Nevada Celebration clone and was pleasantly surprised by its fantastic aroma. Also makes a great bittering hop but use it judiciously. I love me some Chinook. Too, the Chinook from MoreBeer is excellent: Piney, citrus, grapefruit, & other American qualities really shine in Chinook.